Contrary to the hopes of many Singaporeans who urged him to join Dr Tan Cheng Bock’s new opposition party, former Member of Parliament (MP) Inderjit Singh has said that he has no plans to contest politics at this time. Interest in Mr Singh becoming a member of Dr Tan’s proposed party arose when Dr Tan announced last Friday that the new opposition party he has applied to register includes other ex-People’s Action Party (PAP) cadres like him. Dr Tan Cheng Bock is a former PAP MP and served as parliamentarian for 26 years, between 1980 to 2006. During his time in parliament, Dr Tan became the first non-Cabinet minister elected into the PAP Central Executive Committee (1987–96). 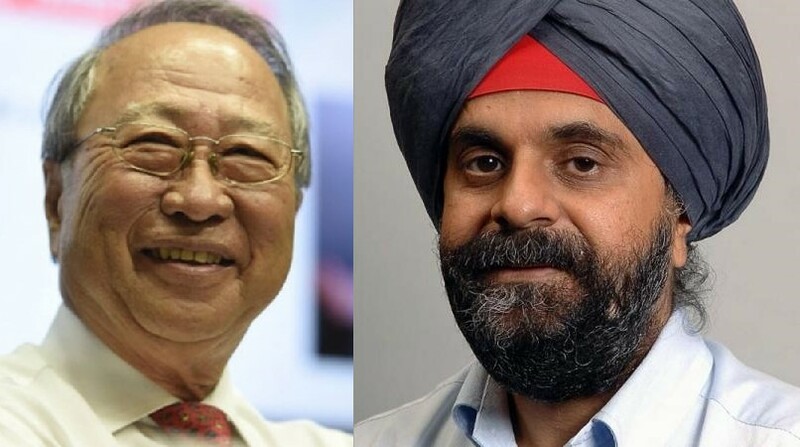 Like Dr Tan, Inderjit Singh is a former ruling party parliamentarian who served at Ang Mo Kio GRC for nearly two decades, between 1996 and 2015. Ang Mo Kio GRC is helmed by Prime Minister Lee Hsien Loong, himself. Mr Singh retired from active politics prior to the 2015 General Election (GE) but served as PM Lee’s election agent, that year. Since his retirement from politics, many Singaporeans have praised Mr Singh for his outspoken and critical views on a number of issues and his bravery for speaking out against the authorities when he feels convicted about an issue. Even in Parliament, Mr Singh stood out among his colleagues. In 2013, Mr Singh excused himself from the chamber when Parliament voted for the unpopular 6.9 million population white paper. He would have had to vote “yes” together with the other PAP MPs if he was in the chamber, as the party whip wasn’t removed. Shortly thereafter, the veteran politician publicly advocated that the party whip should be removed when Parliament votes on major policies. He was still a PAP MP when he made this call. Mr Singh, however, has quashed these hopes. In a recent interview with the national broadsheet, he seemed to put an end to speculation that he might contest the next GE as he said that he is “not considering active politics at this point in time”.